Hello fellow Bourbon Crusaders! We’re back with another edition of Around the Barrel! If you want to know why we said Crusaders instead of Evangelists, you’ll just have to listen and find out. In this episode we talk about the Four Magic Words in bourbon (Kentucky Straight Bourbon Whiskey), how we choose a bottle we don’t know much about, the Jalopy Point in pricing, and have a little rant about some of our issues with many of the bourbon groups out there on social media. 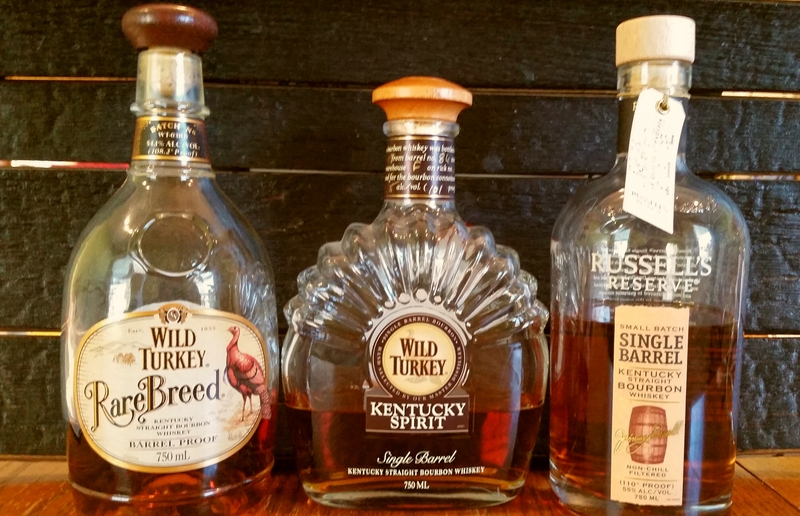 We also enjoy a little Turkey Shoot tasting of Wild Turkey’s Kentucky Spirit, Rare Breed, and Russell’s Reserve Single Barrel. I’ll put our ratings at the bottom in case you just need a quick fix. As many of you know, we are attending nearly a week’s worth of media events for the Bourbon Classic next week. Let us know in the comments, on Facebook, or on Twitter (@BOTBBourbon) if you have any burning questions you want us to try and sleuth out while on our whirlwind tour of distilleries, a cooperage, and Vendome Copper. Podcast #1: What Makes Bourbon a Bourbon?